BLEAU BAR: BLEAU BAR- THE LOBBY LOUNGE WILL PROVIDE LATE AFTERNOON ENTERTAINMENT AS A SUBTLE BACKGROUND. HAKKASAN: Offers Modern Chinese fare complimented by a diverse menu of New World wines and sake. 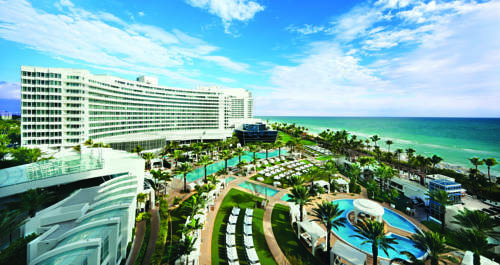 Fontainebleau Suites is located directly on Miami Beach.